Estonia is one of those countries that are hard to find on a map. (Full Disclosure: we tried and failed.) It’s a compact European republic, bordered by Russia and looking out at Finland across the chilly Baltic Sea. Despite a tiny population of just 1.3 million, Estonia is also home to one of the best custom builders in Europe—Andres Uibomäe of Renard Speed Shop. 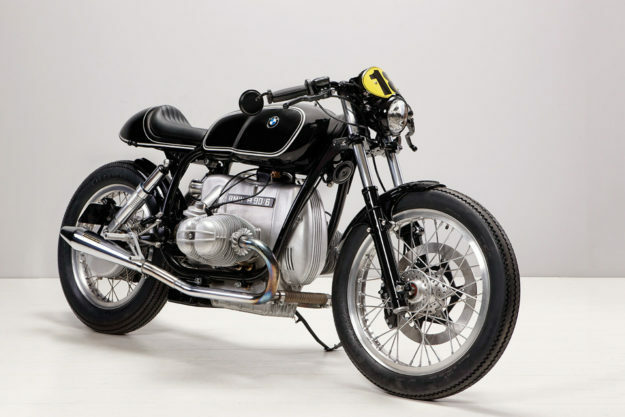 We’ve been drooling over his builds for about six years now, but this vintage-styled BMW R90/6 cafe racer is the best yet. 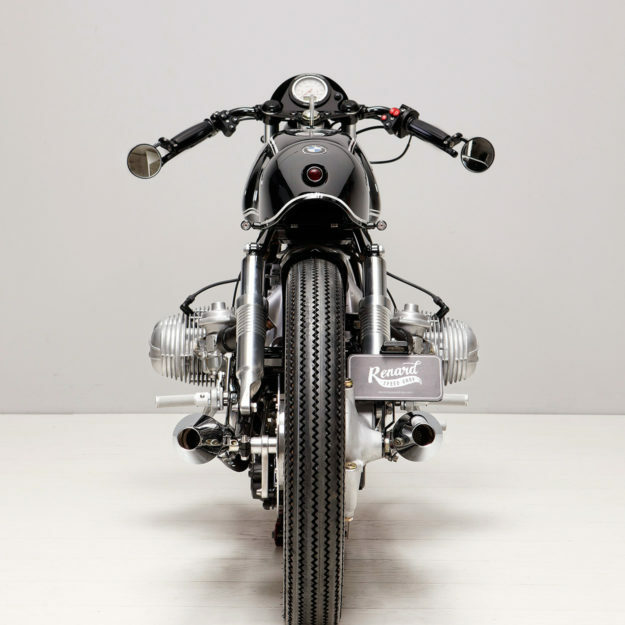 Most R90 customs accentuate the solid mass of the engine with an equally chunky tank, but we love the low-rise, sleek approach chosen by Renard. 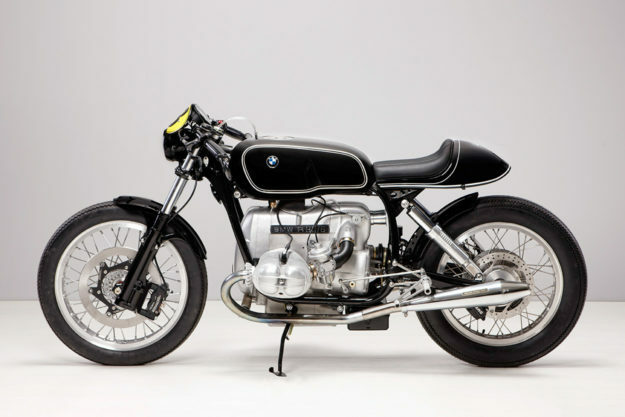 And there’s a good historical basis for that—with a nod towards the BMW Type 255 Kompressor ridden by Georg ‘Schorsch’ Meier to victory in the 1939 Isle of Man TT. 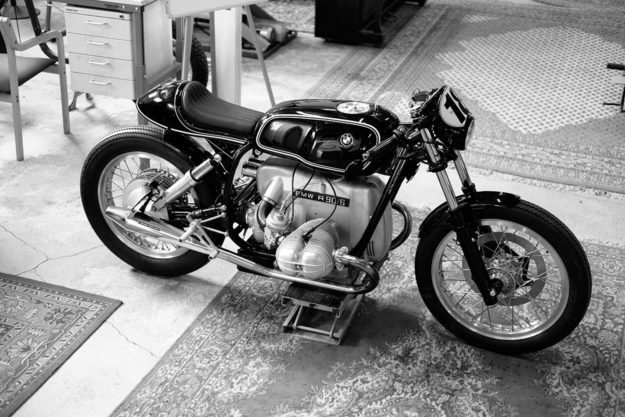 Shop boss Andres wanted to build a bike that was easy to ride and easy on the eye. 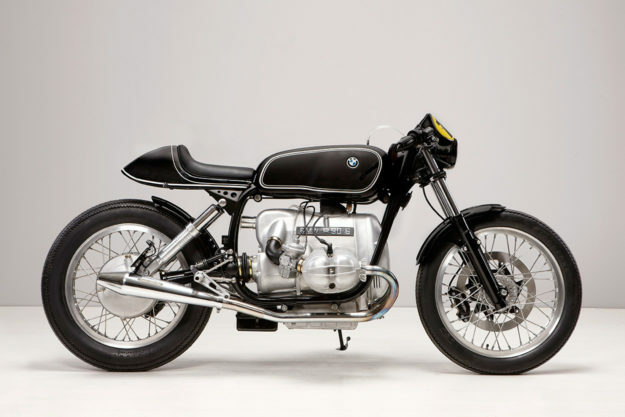 “The main goal was to build a factory racer-style bike that still had great riding properties, and I think it turned out great,” he says. The donor BMW was in good condition, but that didn’t stop Andres and his team from stripping it right down. 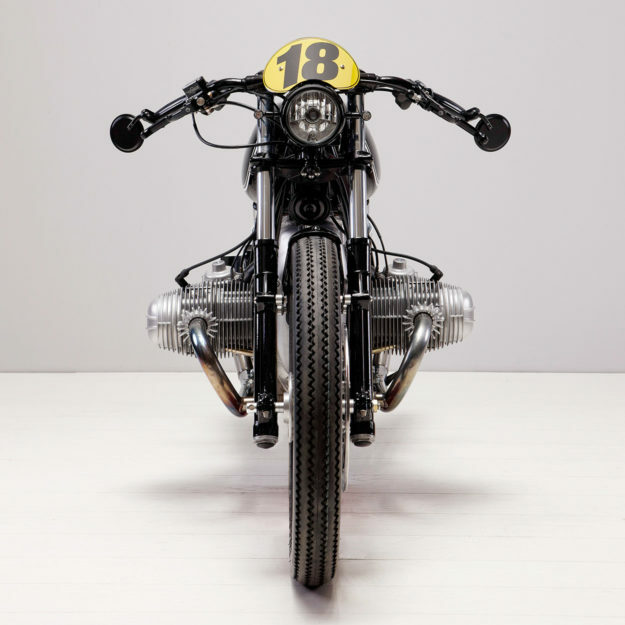 Then they tackled the bodywork, starting with a fuel tank from a classic Moto Guzzi V7 Special—narrowing and stretching it to refine the shape. Out back, they’ve slimmed and trimmed the subframe to complement the tank. 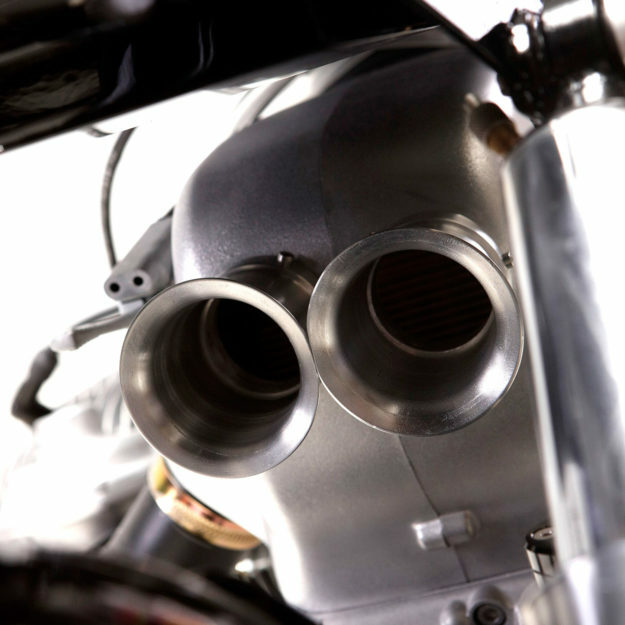 The tailpiece is an aftermarket fiberglass unit, originally intended for an Aermacchi racer. Renard made it fit, and then sunk an LED tail light into the back of it. The seat pad’s been finished off in perforated leather. To get the stance just right, the guys shaved a couple of inches off the front forks. The rear shocks are repurposed air units from a vintage CZ motocrosser—Renard stretched them and mounted them with an offset, to tuck against the rear wheel. This is where some guys would call it done and move on, but the Renard crew were itching for more stopping power. So they set to work overhauling the wheels and brakes at both ends—starting with a new pair of Borrani rims. The front rim is laced to a Triumph Bonneville hub; Renard wanted to add a bigger disc, but felt that the old BMW hub wouldn’t cope. So they’ve added a caliper from Beringer, mounted on a custom adaptor bracket. The guys designed the bracket by first 3D-scanning the fork, then CNC-milling the final part. It’s all top-drawer stuff—but the tires are Firestones. So we asked Renard why they made such a controversial choice. There’s nothing else on the R90/6 that hasn’t been overhauled in some way. The engine was rebuilt with new rings, seals and gaskets, the cylinders were honed, and the carbs rebuilt. There’s some trickery going on in the airbox too—Renard kept the original unit, but added two velocity stack-style intakes. The result is a little more airflow, without sacrificing reliability. Andres tells us that he finds it weird that no one’s tried this setup before. On the electrical front, Renard re-wired everything around a new Motogadget m-Unit controller, and installed an updated electronic ignition. The battery was moved to a custom-made box, located just behind the transmission. 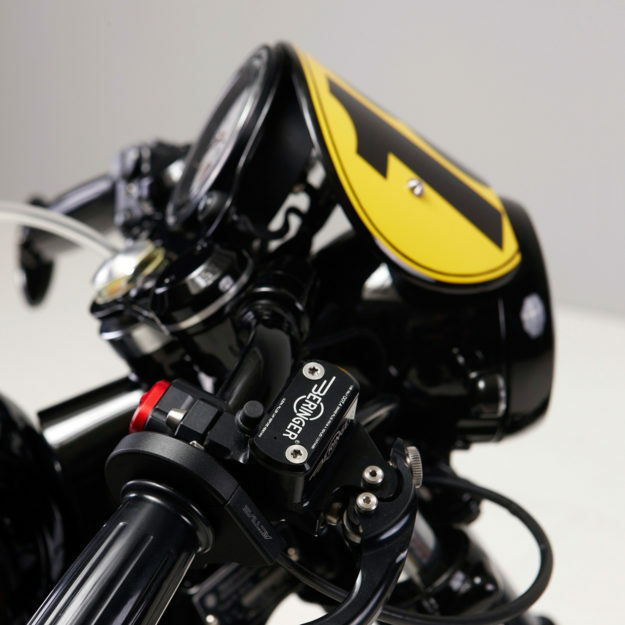 There’s a Motogadget speedo too, mounted in a stunning one-off bracket. 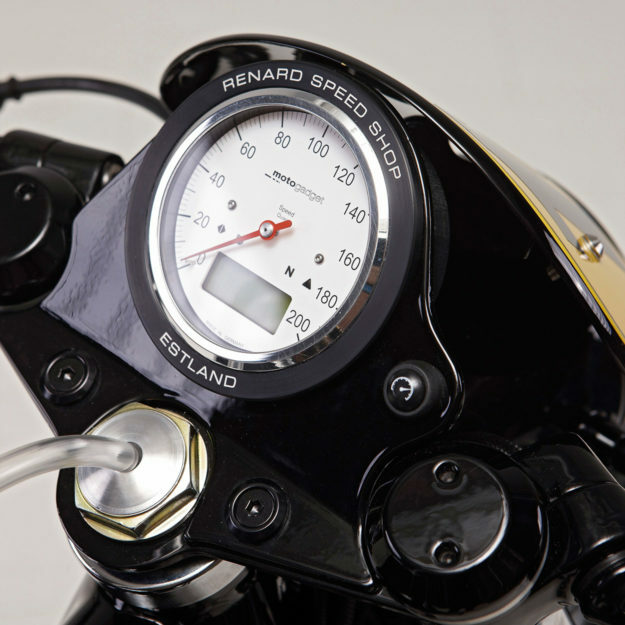 The rider hangs on via a new set of clip-ons, sporting Beringer controls with Renard’s proprietary clamp-mounted switches. 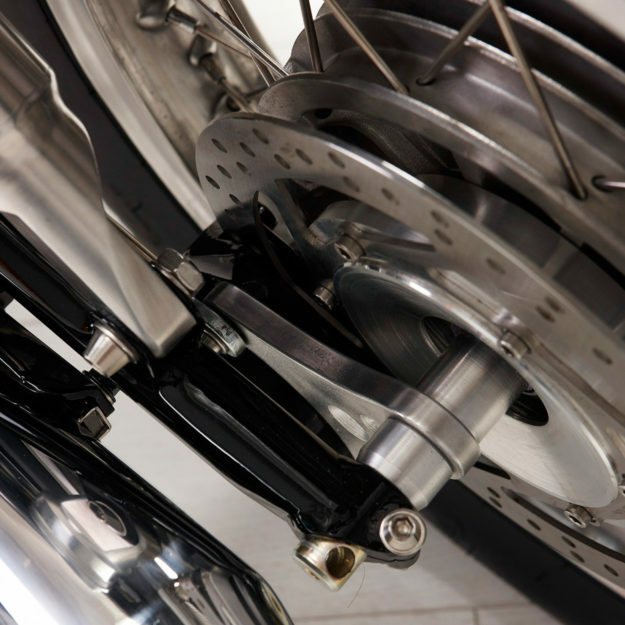 Tarozzi rear-sets are mounted on hand-made, stainless steel mounts. It’s a beautifully judged build, full of smart design decisions. If the bike whipped past you in a blur of speed on a country road, you’d struggle to tell which era it came from. But up close, the quality craftsmanship snaps into sharp focus. 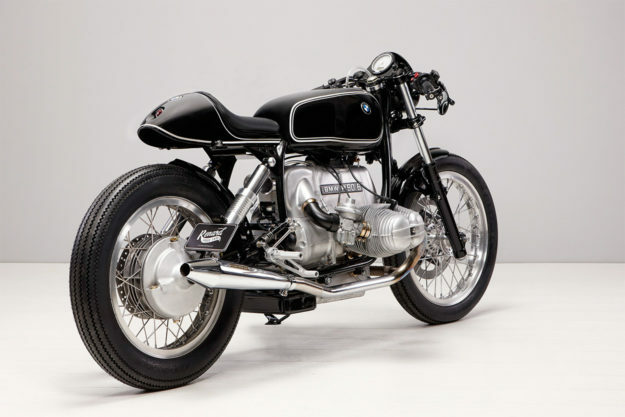 That makes it one of the best BMW café racers we’ve seen. What better way to put Estonia on the map?